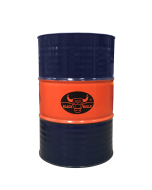 Black Bulls AGRO ULTRA SUPER Semi Synthetic Heavy-Duty Diesel Engine oil (HDDEO) contains semi synthetic base stock formulated with the multiple advance additives technology. ULTRA SUPER Semi synthetic diesel engine oil provides superior lubrication for both on- and off-road diesel engines with EGR or DPF and high speed four stroke diesel engine for commercial, personal or off-road application or as recommended by OEM. • Highly efficient in dispersancy and detergency keeps engine clean.